Want to pre-order a copy? Scroll down to the end of the page. Emerging out of the 1940–1941 London Blitz, the drama of these two short works, a novel and a memoir, comes from the courage and endurance of ordinary people met in the factories, streets and lodging houses of a city under bombardment. 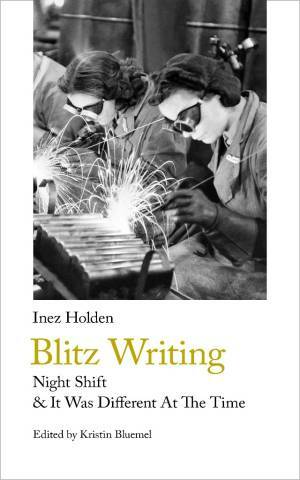 Inez Holden’s novella Night Shift follows a largely working-class cast of characters for five night shifts in a factory that produces camera parts for war planes. It Was Different At The Time is Holden’s account of wartime life from April 1938 to August 1941, drawn from her own diary. 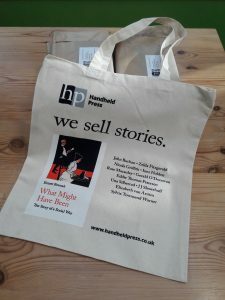 Inez Holden (1903-1974) was a British writer and literary figure whose social and professional connections embraced most of London’s literary and artistic life. She modelled for Augustus John, worked alongside Evelyn Waugh, and had close relationships with George Orwell, Stevie Smith, H G Wells, Cyril Connolly, and Anthony Powell. The introduction and notes are by Kristin Bluemel, Professor of English at Monmouth University, New Jersey. Kate Macdonald (ed. ), The Conscientious Objector’s Wife: three years of letters between a working-class couple while Frank was imprisoned for his refusal to fight in WW1, and Lucy kept their family together. Peter Haring Judd, The Akeing Heart: literary letters and passionate heartbreak between four poets and novelists through the Spanish Civil War and the Second World War. Night Shift will be published on 30th May 2019. Pre-order your print copy here! £18.00 inclusive of post & packing for the rest of the world. If you need a faster delivery time, or if there are problems with your order, please contact us by email. Don’t forget that we offer gift wrapping for all occasions. What about an ebook? You will be able to buy the Kindle edition soon. We’re moving our epub editions to Kobo; when the transfer is complete, we’ll put the link up here.